A. 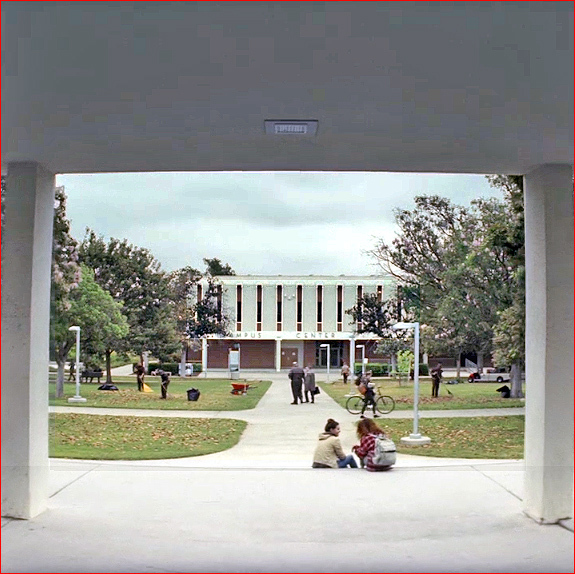 The campus appears in two different scenes ( see below ), one with Joe Shrier and one with Walter's mom, Gloria. It's unclear whether these two scenes are supposed to be on the same campus, in the context of the TV show. Neither campus is directly identified on the show, so it's hard to know for sure. But they were both filmed on the same L.A. campus. Still, to do a little detective work, according to the address on the letter that Heidi sends to Gloria, Walter's mother lives in Valdosta, Georgia. Valdosta is about 200 miles northwest of Tampa, Florida, making it a long drive for Carrasco to visit her, but impractical for a daily commute. So it probably follows that Gloria's campus is in Georgia, not in Florida. As such, I'd surmise that Joe is probably raking leaves at another campus, probably somewhere in Florida, and that the two locations are most likely not supposed to be the same place on the show. A. 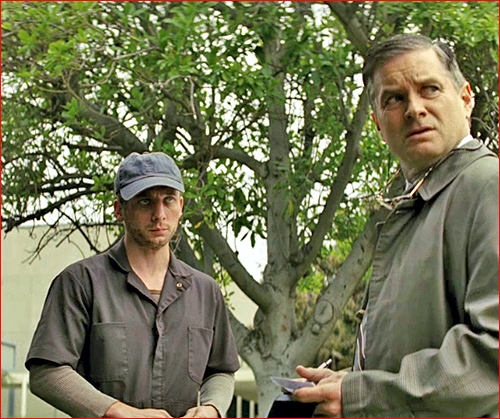 The campus appears in two different scenes, both featuring DOD investigator Thomas Carrasco ( Shea Whigham ) attempting to interview a witness. 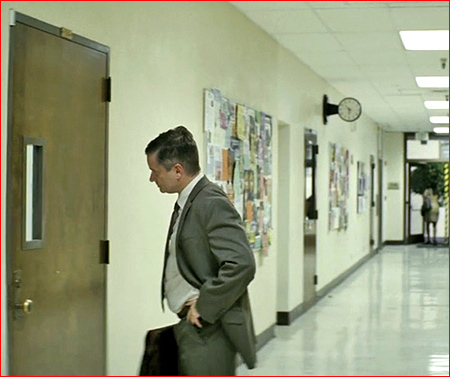 In the first scene, in Episode 5 ("Helping"), at 03:04, Carrasco goes to a campus and talks with Joseph Shrier ( Jeremy Allen White ), Walter's friend, a veteran who was always suspicious of the Homecoming program. Thomas finds Joe raking up leaves on the lawn in the quad, apparently working as a gardener or janitor at the college. Thomas tries to ask Joe a few questions, but veteran appears to be very "out of it", barely responding, as if he were mentally or emotionally disabled. Joe also seems paranoid about a work supervisor watching them from a distance, and doesn't say much to the investigator, as if he's worried that there might be repercussions if he talks to him. But as Thomas leaves, Joe gives him a tree leaf that appears to be spotted by some kind of chemical. 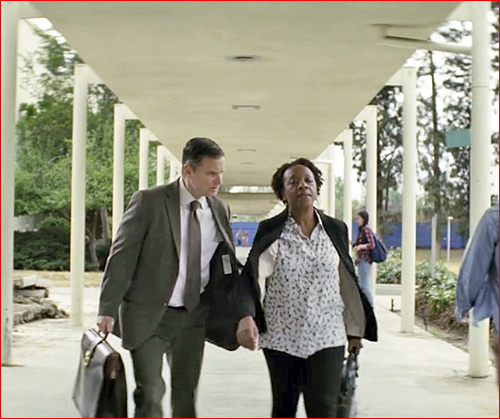 In the second scene, in Episode 7 ("Test"), at 00:48, we see the investigator standing outside the classroom of Walter's mother, Gloria ( Marianne Jean-Baptiste ), who is a professor at the college. When the class lets out, he tries to talk to her as they walk across the campus, but she mostly ignores him, protective of her son and clearly determined to tell the investigator nothing. Finally, Carrasco stumbles and falls while walking. Frustrated and upset, he tells her that he can't understand why no one will help him with his investigation. Convinced that he might be sincere, Gloria helps him to his feet. A. 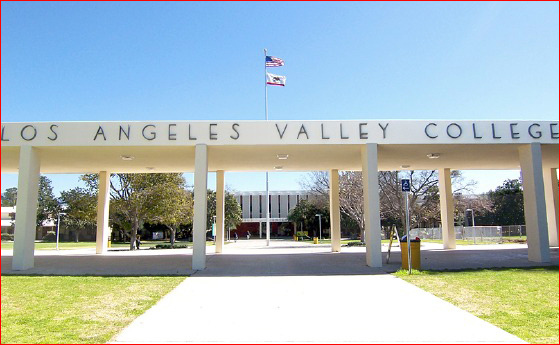 This is the campus of Los Angeles Valley College, which you'll find at 5800 Fulton Ave, in Van Nuys, CA, , in a neighborhood known as Valley Glen. This is a public community college, and ( as the school's name implies ) it is in L.A.'s San Fernando Valley, located about 4 1/2 miles northwest of Universal Studios Hollywood. The building that we see across the quad in the top photo is the Valley College's Campus Center, which is indeed located near the center of the campus, just south of the Student Union. It was inside this Campus Center building that they filmed the interior shots of Thomas Carrasco waiting in the hallway outside the classroom (#104) where Walter's mother is teaching. This location is only about six miles southeast of another Valley location from the show: Heidi's mother's house. A. It was obvious that this was a college campus, so the only question was which one? The screenshot from the show of the quad ( below ) revealed a white, covered walkway, a large building across the quad bearing the name "Campus Center", and some distinctive white lamps. I knew it wasn't a big university such as UCLA or USC, I'm familiar with them, so I started looking at online photos of A smaller, community colleges in the L.A. area, hoping to find a match for one of the shots from the show..